This week we celebrate the 70th anniversary of the NHS, a national treasure that has had a life-changing impact on millions of people. 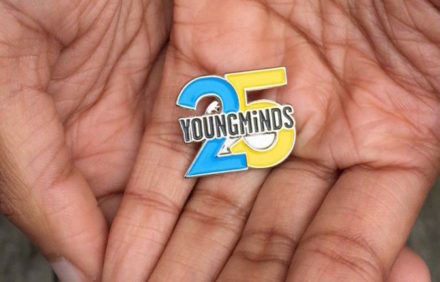 At YoungMinds, we are celebrating an anniversary of our own: 25 years as the UK’s leading charity championing the mental health and wellbeing of children and young people. It is clear that in recent years attitudes towards children and young people’s mental health have come a long way. Recent campaigns like Time to Change and Heads Together have made a huge difference by spreading the message that it’s okay to talk about how you’re feeling. Our #FightingFor report earlier this year showed that young people and families are now much more likely to seek help if they are experiencing a mental health problem. Unfortunately, service improvements have not kept up with the demand and too many children, young people are families are still unable to get the help they need. Everyday we get calls to our Parents Helpline from parents whose children can’t get help at school, who’ve been waiting months for an assessment, or who have been told that they don’t meet the threshold for treatment. We hear from young people who have started to self-harm or become suicidal while waiting for support. At YoungMinds we believe there needs to be a well-resourced, holistic strategy to ensure that all children and young people experiencing mental ill health are able to get the help they need. Here is what we think such a strategy needs to include. Currently, less than 1% of the NHS budget goes on children’s mental health, and less than 8% of the total mental health budget, despite half of all mental health conditions beginning by the age of 14. There needs to be increased, sustainable long-term investment in CAMHS, with greater assurance to make sure that this money goes where it is intended. Current NHS projections show that, at best, only one in three children and young people with a diagnosable mental health condition will get NHS treatment or care by 2020/21. This is just not acceptable in 21st-century Britain. We are calling on the government to recruit new staff to CAMHS, beyond existing workforce proposals, and to ensure that those professionals who are already working there feel valued and incentivised. There also needs to be improvements in the way that A&E departments and other primary care services support people with mental health problems, who often report that crisis care isn’t good enough. Related to this, we would like to see a dedicated 24-hour ‘crisis hotline’ for children and young people, which could be reached through the existing NHS 111 service, offering advice, emotional support and providing referrals. While it’s crucial to improve specialist services, there also needs to be a much greater focus on tackling the root causes of mental health problems amongst children. That’s why we would like to see a high-profile emotional literacy campaign, aimed at children, to help them understand their feelings and what causes them, and to help them know what to do if they’re struggling to cope. Schools have a crucial role to play in promoting good mental health and intervening quickly when there are problems. But at the moment, most teachers agree that the education system is unbalanced, with a far greater emphasis on academic performance than the wellbeing of students. We recommend that all schools should be supported to be able to prioritise mental health, through increased resources, and a greater recognition of the work they do on student wellbeing through the Ofsted framework. One in three mental health problems stem from adverse experiences in childhood – including domestic violence, neglect, bereavement, or taking on adult responsibilities at a young age. These experiences can result in psychological trauma, which can have a lasting effect on the way a young person behaves and manages their relationships with others. But too often professionals working with children don’t fully understand the effects of trauma, and see ‘difficult’ behaviour by people who have had a bad start in life as a problem rather than a symptom of what they’ve been through. That’s why we are calling for a national public health approach to childhood adversity and trauma, including training for all professionals who work with children – including NHS workers, teachers, social workers and police – about the effects of trauma on behaviour and clear guidance about how and when to intervene. We have seen through our national Amplified programme that mental health services are more likely to be effective if they are set up with children and young people’s needs and experiences at the centre. At the moment, there is too often a ‘top-down’ approach, with children and families feeling that services aren’t giving them what they need. Inpatient care can be a lifeline for some young people who need the most specialist care. However, many young people and families do not understand their rights when in inpatient mental health hospitals, which can make the experience more frightening and harm their recovery. Specialist mental health hospitals should always make children and families aware of their rights and meaningfully involve them in decisions about their care and treatment. Matt Blow is policy and government affairs manager at YoungMinds.